The formal garden at Marble House. The architect who designed this garden, Charles Downing Lay, also worked on some major projects in NYC including Battery Park, Bryant Part, & Madison Square Park! 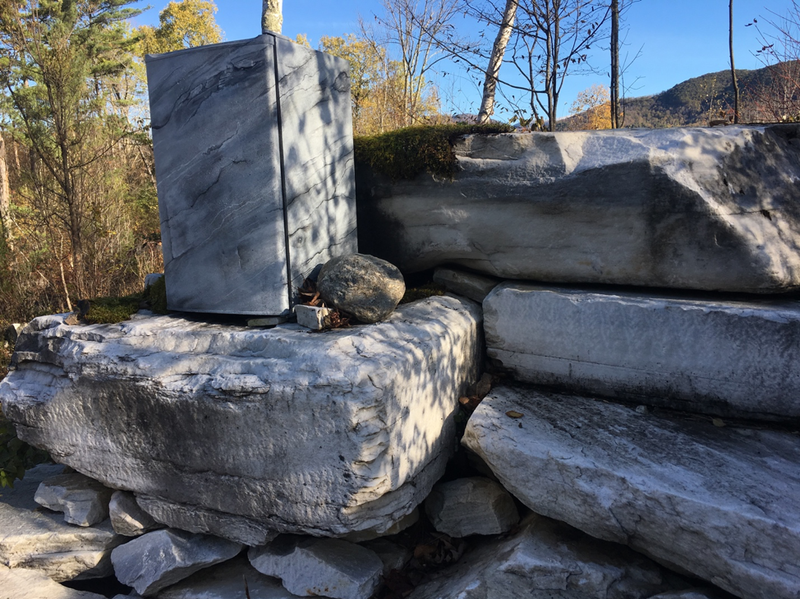 I spent three weeks in October at an artist residency program in Dorest, Vermont called the Marble House Project (MHP). While it was tough to temporarily leave behind my brand-new Spartanburg community, this residency was an invaluable opportunity for many reasons, and I am very grateful to have gotten the chance to participate. An aerial shot of the marble quarry from a drone. MHP brought together 8 artists, each incredibly talented and accomplished in their respective fields. In my group, there were three visual artists, a musician, a poet, a dancer/choreographer/director, a filmmaker, and a chef. We were a diverse group, but all shared a passion for our craft, and we quickly connected with one another over dinner each night. It is MHP’s mission to foster multi-disciplinary collaboration and exchange, and this is especially supported by the ‘family-dinners’ each night. Each resident was paired with another resident and cooked dinner for the whole group 3 times throughout the program. We were encouraged to harvest ingredients for our meals from their gorgeous, small-scale organic farm (we had so much squash!). Dinners often carried on late into the night as we got lost in lively conversation ranging from our art projects, to Britney Spears, to politics, to leeches, and everything in between. 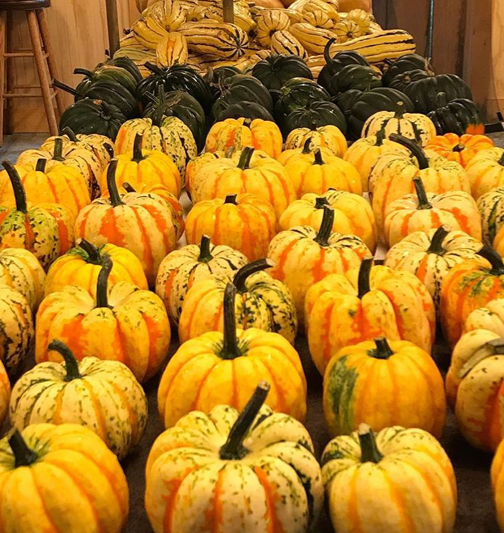 I told you – SO much squash (well, ‘tis the season). Left: an assortment of beautiful squash harvested from the farm. Our creative attempt to try to use as much of said squash as possible. Pictured is 500 acorn squash cookies with chocolate chips and sea salt. Participating in MHP was also paramount for the completion of filming this big project that I am working on in collaboration with another painter, Christian Berman. We are in the middle of creating a magical-realist, feminist fairytale film that will be exhibited this coming March in London. The grounds of MHP were stunning and fit as the perfect set for one of our characters. With over 38 acres, the property was replete with formal gardens designed in Italianate style, two abandoned marble quarries (closed since 1870 and now overrun with nature), a chicken coup, a small farm, and not to mention, all with the scenic Green Mountains as a backdrop! This magnificent location became our stage as we filmed our remaining scenes, and we let our imaginations embrace the possibilities of our new setting. Some fun scenes we were inspired to add were body painting my character to camouflage with the marble quarry and spinning on this large rotating marble bench while serving hors d’oeuvres. I owe a big thank you to Marble House project for supporting our project and for creating a space where artists can feel supported by community and creative networks can grow. And I owe a huge thank you to the Chapman Cultural Center for recognizing this important opportunity in my artistic career, and for allowing me to see it through. I am so excited to be back here and working on fostering connections and opportunities within my new Spartanburg community. 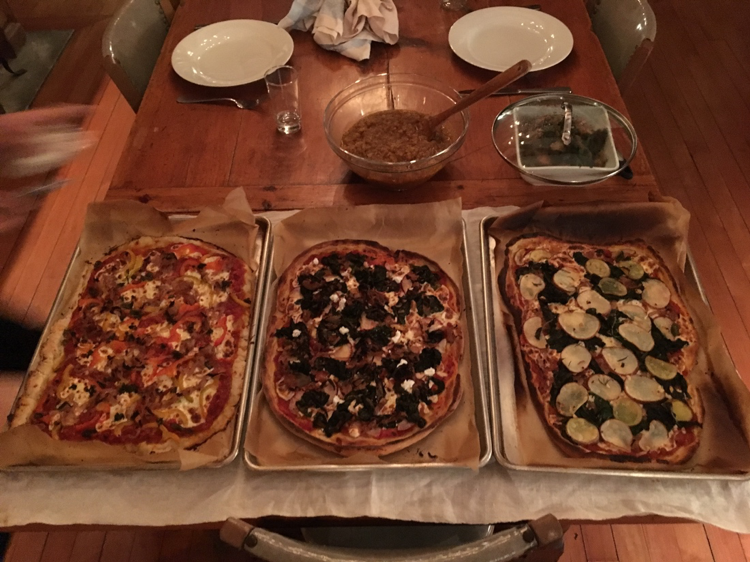 I made pizza dinner one night with another resident. Can you find the mini-fridge? My collaborator and I painted a faux-marble effect of a mini-fridge for a scene in our film. This prop is now in my studio in the Chapman Cultural Center, so be sure to come check it out! Spinning on the marble bench while holding trays of hors d’oeuvres. 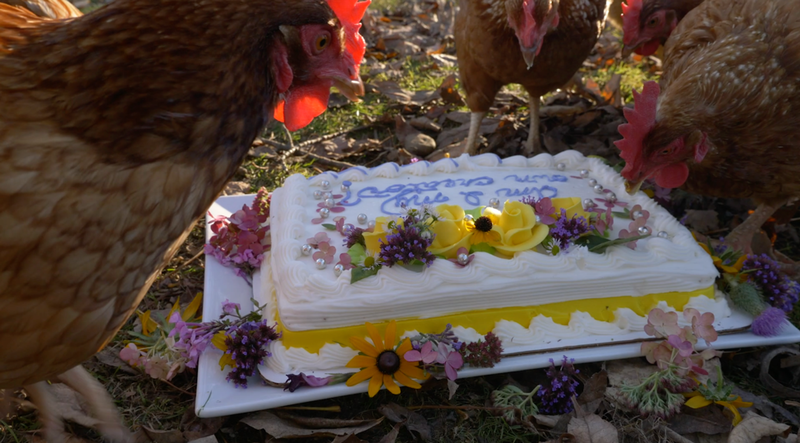 Even the chickens got a cameo appearance in our film!